The Mysterious Benedict Society gave me hope for future generations in the way that Matilda probably gave adults hope for my generation. The story is told Harry Potter-style, through the eyes of Reynie Muldoon - a kind-hearted and intelligent kid who actually reminded me a little bit of Harry Potter. His loving tutor encourages him to answer an ad in the paper for “gifted children looking for special opportunities”. After making his way through questions and activities that test his logic and ingenuity and which prove that he values the truth, Reynie is introduced to the three other children who also managed to pass the tests and who eventually become The Mysterious Benedict Society. 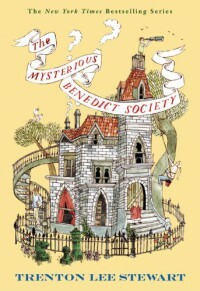 The members of The Mysterious Benedict Society are kids that I would actually love to hang out with. They are all orphans, each clever in their own way. One of the main ideas of the book seems to be that there are different types of intelligence and that it takes a team of people who are smart in different ways to take on a big task. Reynie is very smart and well-read, but not encyclopedic- he’s good at solving riddles and puzzles. 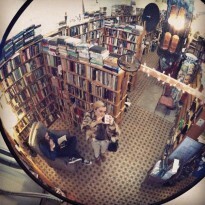 Sticky is the encyclopedia, an anxious kid with a photographic memory. Kate, abandoned as a baby, was raised by the circus and carries around “helpful” things in a red bucket tied at her waist. She is an adventurer, and her talent lies in her ability to go anywhere and do anything- as long as she has her trusty bucket. Constance is much younger than the other kids and a bit of a mystery- no one knows her backstory. She’s a brat, but she’s clever at it; she’s often composing “rude poems” and managed to pass her test with her snark and stubbornness. They meet the kindly Mr. Benedict and his makeshift family, who inform them that they are the only children out of the hundreds who were tested that have the heart and the mind to be able to take on a very dangerous adventure. "The free market must always be completely free. The free market must be controlled in certain cases. The free market must be free enough to control its freedom in certain cases. The free market must have enough control to free itself in certain cases. “Sounds like nonsense to me,” said Constance. “It still sounds like nonsense,” Constance muttered. The school is wretched but the children manage to stick to their plans. The other students are the exact opposite of the members of The Mysterious Benedict Society, who are smart, warm-hearted, and passionate about learning. The kids at the Institute all ignorant and below average- they don’t seem to care about one another at all. There are no cozy book-filled rooms like at Mr. Benedict’s – the school is sterile and the employees are robotic. It’s clear that here, children are not respected or valued at all beyond being kept for their eventual use in Mr. Curtain’s brainwashing scheme. Mr. Curtain has big plans for the world, for himself, and most disconcertingly, for those who resist him. This book had a lot to say about complacency and learning to think for yourself. The kids aren’t the only ones who are truth-seekers of course, but they are rare- Mr. Benedict goes through hundreds of kids to find them. Essentially, those who seek the truth are those who question everything and who don't automatically believe the media and authority figures just because they have the power. There was a bit toward the end that really struck me. Reynie is at the end of his rope and the instruments of Mr. Curtain are beginning to work on his mind. He’s the backbone of the group, but who is there to support him? Exhausted, growing disillusioned and losing confidence in himself, he sends a message to Mr. Benedict. Reynie would send one message, one message only. He had never been superstitious, but he decided now that if he received no response to help him, he would give up. Just give up and take an easier path. He wouldn’t have to try to be some kind of hero, wouldn’t have to fail – and soon it would be too late to matter. There would be nothing he could do, no point in trying. It would be out of his hands. Just thinking about it was so enticing Reynie almost didn’t send the message. This moment reminded me of exactly how I have felt in the face of adulthood and in the face of the world with all its problems. I should be someone who’s out there protesting, not only working to support myself but also working to change the world, standing up for what I know is right and rallying for the cause... But it’s just so hopeless and exhausting and it’s so much easier to just accept that things are the way they are and move on in a daze of complacency. But that’s what the author is trying to get the young ones to understand- if you don’t stand up to people like Mr. Curtain, if you don’t stand up for people like the kids in that Institute who aren’t as naturally gifted and who were never given a chance to be decent human beings, who will? The strong-willed and strong-minded are rare, and if you’re one of them it’s pretty much your duty to stand up the evils of false hope and the distractions of complacency. All that being said, the plot is fairly simple- it is a kids’ book, after all. There are quite a few points where you can figure out what’s about to happen before the kids do, especially if you’ve read Roald Dahl or Harry Potter. What makes the story so unique are the details, not the overall plot itself. Anyway, if I was able to write a two page rambling review about how awesome this kids’ book is then you should probably put it on your list!